When the 2013 Tour de France commences on Corsica this Saturday, June 29, 198 riders will be on the start line. However, only a handful of those riders have a serious chance of taking the overall win when the race concludes in Paris three weeks later on July 21. With defending champion Bradley Wiggins (Sky) absent due to a knee injury, the way is clear for a new rider to come to the fore – or for a previous Tour champion to rise once again to the top step of the podium. We rate the chances of the main contenders in this year’s 100th edition of the Tour de France, giving a guide to their current race form and previous results in the Grand Tours. Chris Froome has gone from strength to strength in 2013, finally proving he’s the Tour favourite, with a crushing performance at the Critérium du Dauphiné earlier this month. He dominated in the time trial and when the roads tilted upwards – for instance, in stage five to Valmorel – he did the same. The Kenyan-born Brit is just what Sky need in Bradley Wiggins’s absence. Froome has approached the Tour de France the Wiggo way. Having racked up overall wins in Oman, Critérium International and Romandy, Froome went on to triumph in the recent Dauphiné. The only race he ‘lost’ was Tirreno-Adriatico, where he was out-gunned by Vincenzo Nibali on a horribly wet stage. Just as the Italian put Wiggins under pressure on the Giro’s Pescara stage, Nibali attacked on the wet roads to Sant’Elpidio and finally cracked Froome. Sky’s leader can rest easy knowing the French roads are rarely as technical, making it hard for his rivals to set traps. In fact, this Tour is ideal for him, even more than last year when he looked ready to ride away and win. Instead of 100km of time trialling, he’ll face just 65km. Not that the amount of time trialling really matters, given the way he is riding. Not once this year has an overall rival topped him in a time trial. With Sky circling its wagons around Froome for the Tour, it is likely convenient that Wiggins had to skip the race due to a knee injury. Froome’s quiet, boy scout qualities don’t mesh well with Sir Wiggo. He is better at letting his legs do the talking. That cool-headedness, combined with his strength, should win him the Tour if all goes to plan. Ryder Hesjedal started last year’s Tour de France as one of the favourites after becoming the first Canadian to win the Giro d’Italia one month previously. But like many others, his hopes were dashed in the ‘Metz Massacre’ only one week into the race. He struggled in to the finish that day but the crash, resulting in scrapes and muscle bruising, forced him to abandon. This year his Tour may be over following another crash, this time at the Tour of Switzerland, a race he was using as pre-Tour preparation following a disappointing May. His Giro title defence was derailed in the second week. He was on fire in the first week, attacking for a bonus second here and there, but then floundered. In the time trial, he lost time to most of his rivals – a signal that something was wrong. A virus turned into a respiratory infection and eventually forced him to quit midway, along with Wiggins. It was the best thing to do, but it cast doubt on what Hesjedal could achieve in France. His luck then took a turn for the worse in Switzerland where he suffered contusions and abrasions but thankfully no fractures. Still, the Canadian found himself in a race against time to be back in shape for the Tour, and at the time of going to press there was no word from his Garmin team as to whether or not he would make it. Even if he does get to Corsica, he is likely to be struggling for form in the early part of the race. There’s a slim chance that could work to his advantage if he can build through the race and hit the final week in good shape but as of now, there is little to suggest he can live with the best in the high Alps and Pyrenees. Joaquim Rodriguez appears to be Spain’s top dog, with Alberto Contador lacking the same lethal kick he had before his ban. While the Spanish Grand Tour ace is slipping in both time trials and climbing, Rodriguez is improving. He nearly bagged two Grand Tours last year, when he finished as the world’s number one ranked rider. Due to his collapse on the road to Fuente Dé, Contador was able to ride clear to the overall win in the Vuelta a Espana. At the Giro d’Italia, Rodriguez went back and forth with Ryder Hesjedal and only narrowly lost the overall leader’s pink jersey on the final day in a time trial. Those near-misses in the Giro and the Vuelta gave him the confidence that he is a Grand Tour rider. The 34 year old believes he has his best chance yet to reach the Tour podium, and win, this year. It is good thing because, as he admits, he does not have much time left to reach his goal. The Classics star and king of the kick adjusted his schedule for the Tour. In 13 seasons he has only ridden it once, winning a stage and placing seventh overall in 2010. It is perfect timing, too, as this year’s route suits him over last year’s time trial heavy parcours. His time trialling seemed to have improved slightly last year but at the 2013 Critérium du Dauphiné he lost almost three minutes to Chris Froome in just 32.5 kilometres. He still has the kick and climbing ability that’s helped him win one-day Classics and ride away from Froome and co in the Tour of Oman’s Green Mountain stage in February. Few observers would have named Cadel Evans as a possible Tour de France winner at the start of the year. However, his stock has been rising since he began racing in the Tour of Oman in February and the odds of him winning a second title have shortened. A virus wiped the never-say-die Aussie out for much of 2012. Evans had no idea what was slowing him down until after he arrived seventh overall in Paris. He took a break to recover, nearly six months, during which time many thought it was over for the 36 year old, who had won a world title and the 2011 Tour. Proof that Evans was actually back on target did not come until the Giro d’Italia, and it was strong. Evans motored to third overall over one of the most rain-soaked and coldest races in years while Bradley Wiggins and defending champ Ryder Hesjedal cracked and abandoned. He failed to match Vincenzo Nibali’s brilliance, but the result restored faith and underscored his position as BMC Racing’s outright Tour de France leader. As a strong all-rounder, he is neither helped nor hindered by the lack of time trial kilometres. What he lacks in spark against Froome and Rodriguez, he makes up for in grit and experience. A podium is clearly within reach and a win is not completely out of the question. Jurgen Van den Broeck has every reason to believe he can make it to the podium in Paris after placing fourth in 2010 and last year. It’s just a natural progression, he says. In 2011, like Wiggins, he went home with a broken collarbone early in the race. This year has more climbing and less time trialling, where the Belgian lost most of his 10 minutes to Wiggins last year. He previewed the two time trials, 65km in total, and he believes he can hold on. In the Tour of Romandy time trial, he lost a half-minute to Chris Froome, but put time into other specialists. The result was encouraging for the 30 year old. Not so encouraging is his lack of wins. He has only one in his palmarès, a stage win in the 2011 Critérium du Dauphiné ahead of Joaquim Rodriguez and Cadel Evans. To get on the podium at the Tour he might need to add win number two along the way. He has not shown enough killer instinct. Van den Broeck said himself he is unhappy with how his spring went. He said his condition was good, which Romandy’s long time trial highlighted, but the results failed to follow. At the Tour of the Basque Country, he crashed. He placed ninth overall in the Tour of Catalonia. Starting Romandy, he felt ‘slow’ coming off altitude training. He placed seventh, ahead of Porte and Valverde, but two minutes behind Froome. Like Froome in Tenerife, Van den Broeck has trained at altitude in the Sierra Nevada. In May, he tweaked his fitness there and then previewed the remaining Tour stages, which could all help give Belgium its first podium finisher since Lucien Van Impe in 1981. Along with Richie Porte, Tejay van Garderen is the Tour’s darkest horse. The American has quietly sneaked into our favourites list after four years of racing, building results and gaining experience. Last month, he nailed his first overall win at home in the Tour of California. Van Garderen said it felt like he had got the monkey off his back with the California title. It arrived after several podiums and top fives in prestigious races, including the white jersey and fifth place in the Tour last year. He duly supported Cadel Evans last year in the Tour until the Australian faded from contention. BMC Racing gave him the OK to ride ahead in the Bagnères de Luchon stage to secure the white jersey and his placing in Paris. With Evans seventh overall, van Garderen’s result saved the Tour for BMC. It has been much of the same this year, with Evans still on the rebound from last year’s virus. Though the 2011 winner is on the rise, ‘TGV’ has consistently out-performed him, with a fourth overall in Paris-Nice and a third in the Critérium International. Van Garderen, however, is playing the team card and shows no inclination towards mutiny. He wants to support Evans as far as possible, like last year, but remain close on the GC to give BMC a second card to trump Sky. his ambitions over Evans’s should the American prosper. The two-time winner of the Tour is a far cry from his pre-ban days and his form far less predictable. Last year Alberto Contador was expected to romp through the Vuelta, but early on realised he lacked the legs he used to have. The drawn-out clenbuterol doping positive from the 2010 Tour de France, which resulted in a backdated two-year ban and sitting out half of last season, saw him enter the Vuelta under-raced and well off of his best. More worrying for Contador is that he still lacks the climbing ability that delivered him Grand Tour wins in the past. Joaquim Rodriguez stopped him cold on the Vuelta’s mountain passes and would have won the race had he not cracked in stage 17. Contador had to make a daring last-ditch attack early into the penultimate mountain stage to win the race from Rodriguez. It’s been the same through spring this year and leading into the Tour. ‘El Pistolero’ isn’t firing the same as before; he threatens for stage wins and overall victories, but struggles to pull them off. He’s won only once this year, with a stage in the Tour de San Luis, despite trying attacks at other times – Prati di Tivo at Tirreno-Adriatico and Valmorel in the Dauphiné. The Spaniard still has the jump to distance his rivals but he no longer has the strength to maintain it. The bigger concern is now in the TTs. Contador used to excel against the clock, but lost 2-30 to Chris Froome in the Dauphiné’s 32.5km TT. Contador will take hope from last year’s Vuelta win, and from the fact Froome is yet to win a Grand Tour. 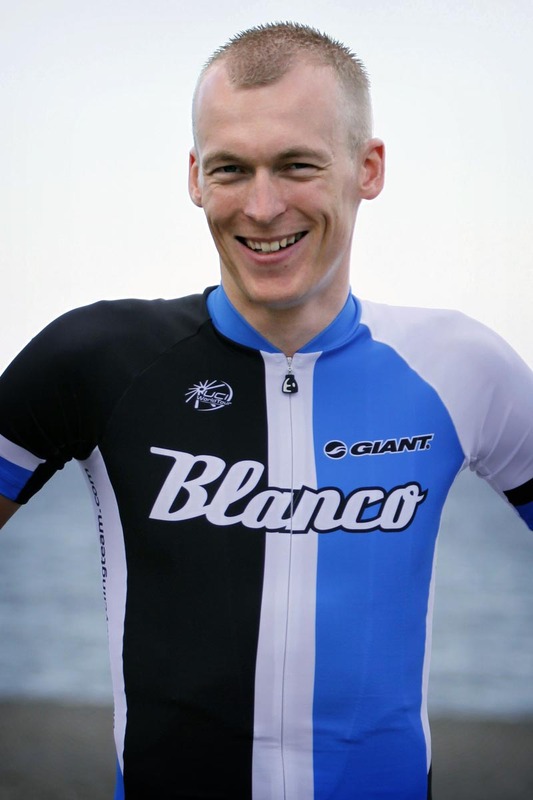 Will Robert Gesink ever get through a Grand Tour without having an off day? If he can, he will challenge for the podium, but there is little to suggest it will happen. The lanky Dutchman hasn’t seen the top step of a podium since May last year at the Tour of California and has developed a worrying habit of not finishing races due to injury or illness. This year, at least he has tried something a little different, riding the Giro in order to build his Tour form. Unfortunately, his first attempt at the Giro may not have helped boost his confidence much. He started well enough, but as soon as the race hit the mountains – where he is meant to excel – he started going backwards. Amazingly for a man not known for his time trialling, his two highest placings came against the clock; eighth in the team time trial and 11th in the long time trial on stage eight. At 33, Valverde may be making his last attempt at a Tour podium finish. Second place at the Vuelta last year was impressive, but he struggles for such results outside of Spain and these days is outgunned by younger, faster riders. He climbs well and has decent sprint ability, but there are many better. Like most Spanish climbers, time trialling remains his Achilles heel. He has been left behind by younger riders and teams with better practices – all of which burst on to the scene during Valverde’s Operacion Puerto ban. He came back to the pro peloton to find it a completely different place, and one in which he struggled to fit in. Realistically, he’s looking at a top 10, at best. Sky line up in Corsica with the two strongest riders in the race. Unfortunately for Richie Porte, he will have to play a support role to team-mate Chris Froome. Porte is listed as an outsider, Sky’s plan B, much like Froome last year. Should the latter man falter, Porte is likely to get the chance to see what he can do. While riding in support of Froome, he has clocked up some impressive results, second at the Dauphiné, eighth in Romandy and second in Critérium International. At Paris-Nice, he got the chance to ride for himself and won it with some ease. He’s good friends with Froome and trains with him, so we’re unlikely to see any friction.